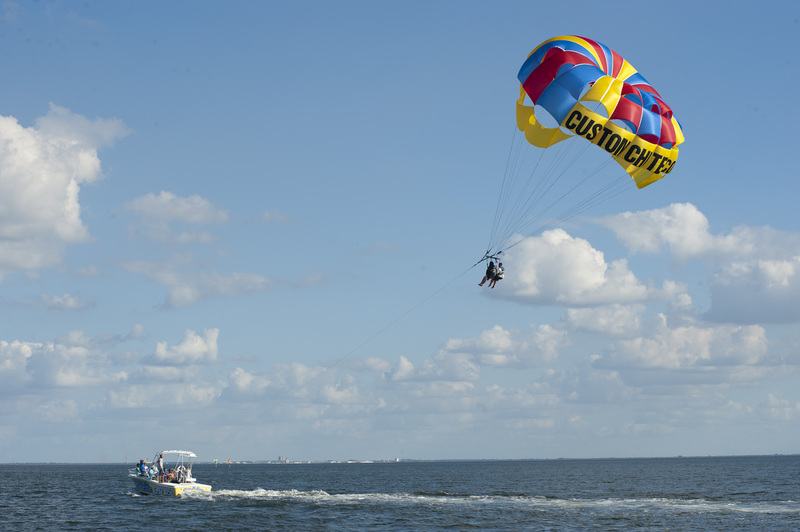 Thinking about taking a parasail ride this summer? Spectacular views combined with the exhilarating feeling of flying make up this popular activity, which can be seen high above the water at hundreds of locations across the United States. At a glance, the activity portrays a great amount of excitement, but you also might be wondering about any potential risks, especially before choosing parasailing as an activity for the whole family to enjoy. Fortunately, the Water Sports Industry Association (WSIA), working in conjunction with the Federal Aviation Association (FAA) and the United States Coast Guard have made dramatic improvements since April of 2013. That’s when ASTM International joined forces with the aforementioned groups to create new, authoritative consensus standards for operators including safety, weather, maintenance and best practices. Weather can change quickly, so be sure to ask your operator if they are current members of WSIA and also follow the ASTM standards for weather operation. Towline separation due to adverse weather or poor maintenance is the most important concern, so also feel free to ask how recent the harness, rope and other components have been inspected or replaced. When you say yes to parasailing this summer, don’t forget to relax, take a deep breath and enjoy the sky.